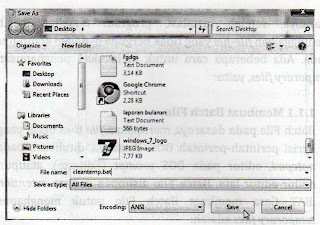 if you are installing an application program into the computer, you need to clean up temporary files. 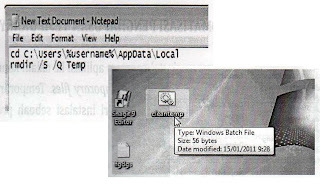 Temporary files are files that are created from the installation of a program to facilitate installation. 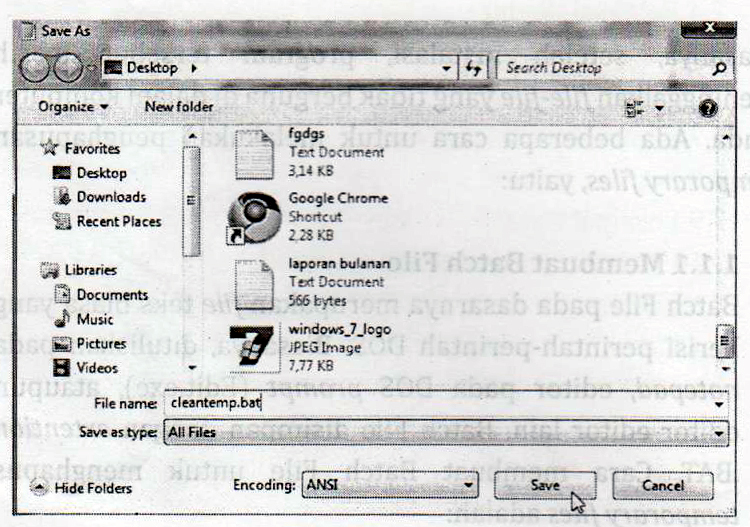 Enter the following code: cd C: \ Users \% username% \ AppData \ Localrmdir / S / Q Temp. 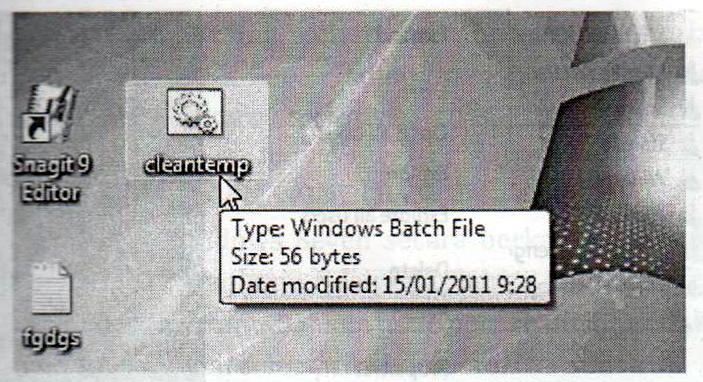 After that, save the file with a name: cleantemp.bat. 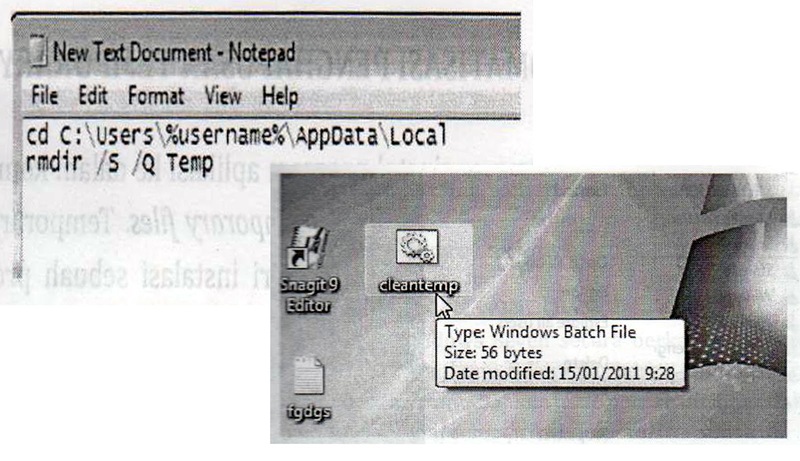 You run the file. If it does not work, try to check back to your computer username with the username in its coding. 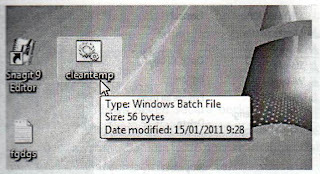 Create a batch file such as file cleantemp.bat that you have practiced before. 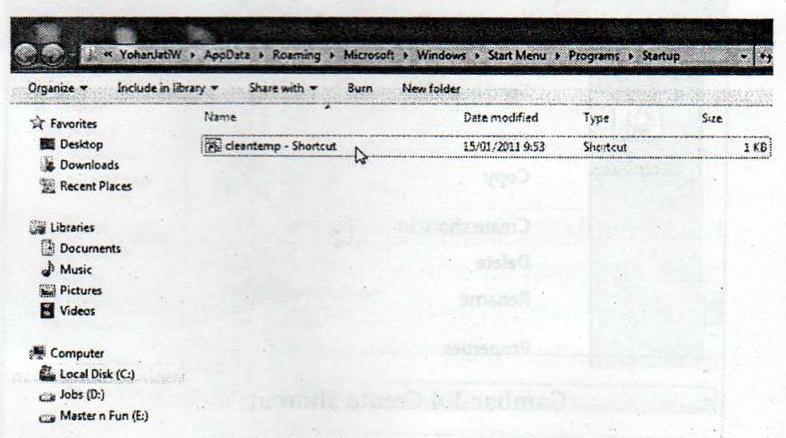 After that, right click on the batch file you created and click on create shortcut. 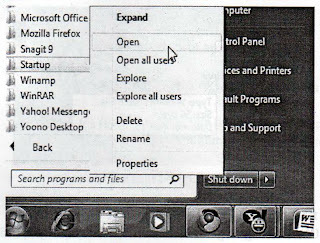 Next, click the start | all programs | startup, then you right click and select open. 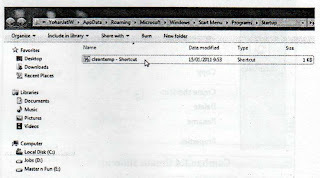 Please insert a shortcut file that has been made ​​to the startup folder is. 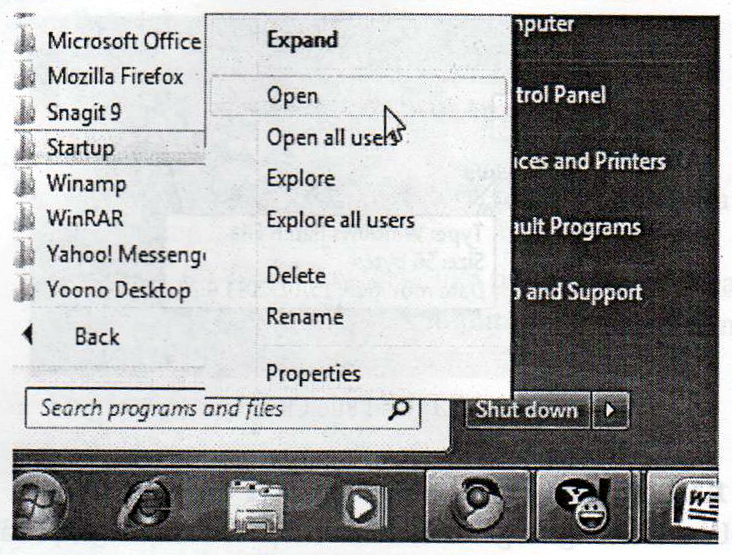 From now on, every time the install program in windows 7, all the temporary files are deleted automatically.